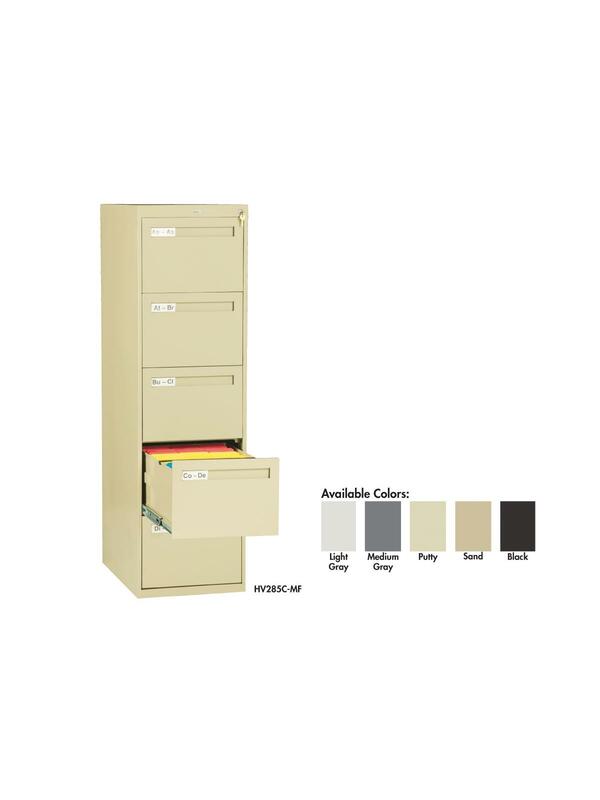 Tennsco vertical files are as attractive as they are dependable. Contemporary design features full-width recessed handles with plastic label holders. Drawers operate quietly and effortlessly on steel ball bearing suspensions. 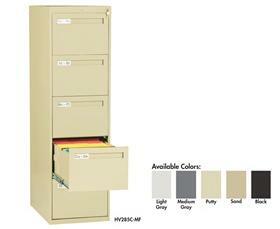 All hanging files in a drawer are visible as drawers extend full on the three-section telescoping suspensions. A single lock controls all drawers. Locks are core removable and are master keyed (order master keys separately). An interlock system keeps more than one drawer from opening at a time. Hanging file folders hang on the full height drawer sides eliminating the need for hanging folder frames. Durable powder-coat paint finish. Available in Light Gray, Medium Gray, Putty, Sand and Black - please specify color in comments section when ordering. FOB Shipping Point. See Related Items tab for Master Key for Lateral and Vertical Files. 14-15/16 x 28 x 38-3/4"14-15/16 28 38-3/4"